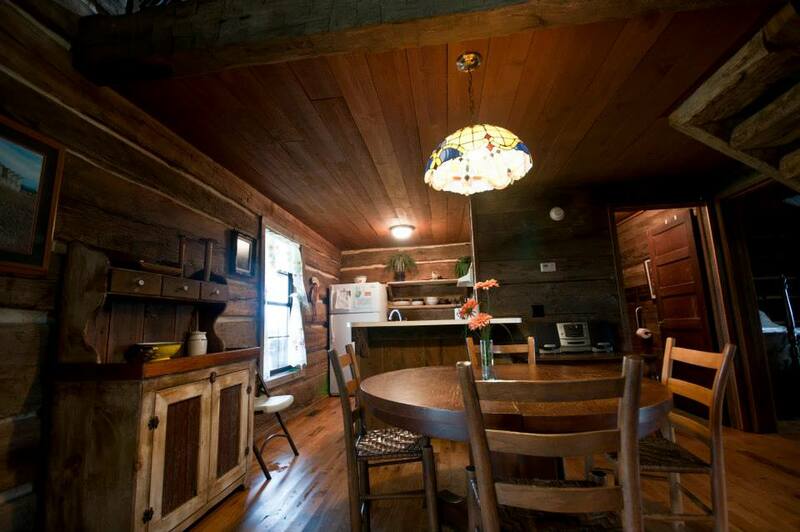 Our Buffalo River family log cabin is cozy enough for a romantic week-end or a spiritual retreat yet roomy and open. Perfect for any party, reunion, or church group. 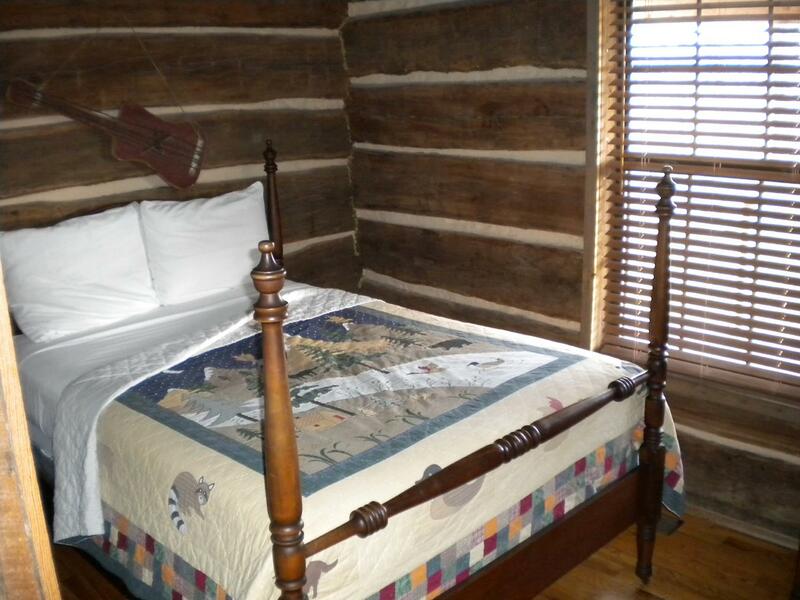 Our original Buffalo River family log cabin sleeps six. 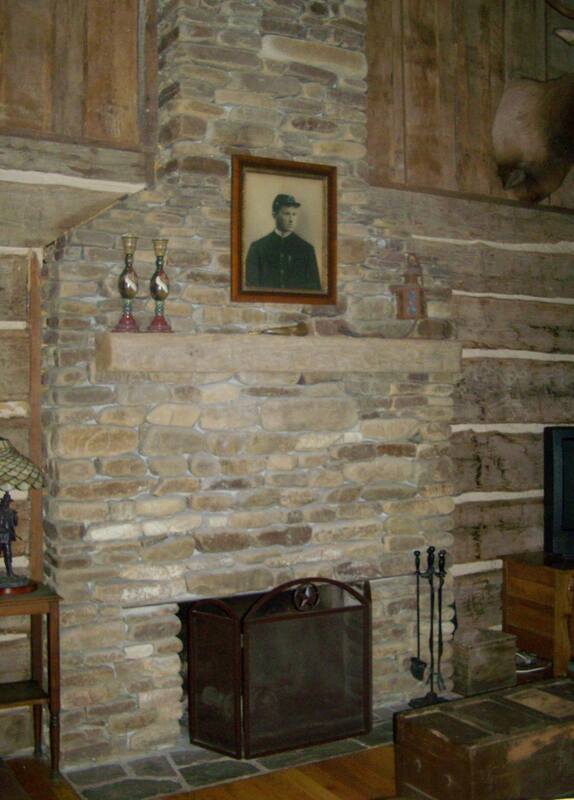 The beautiful logs were hand-hewn in 1884. 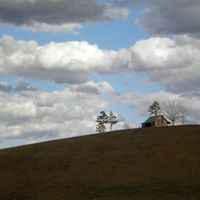 We call it the Turney Homestead in honor of the family who originally shaped the logs by hand in nearby Snowball, Arkansas. You'll feel the old pioneer spirit here! 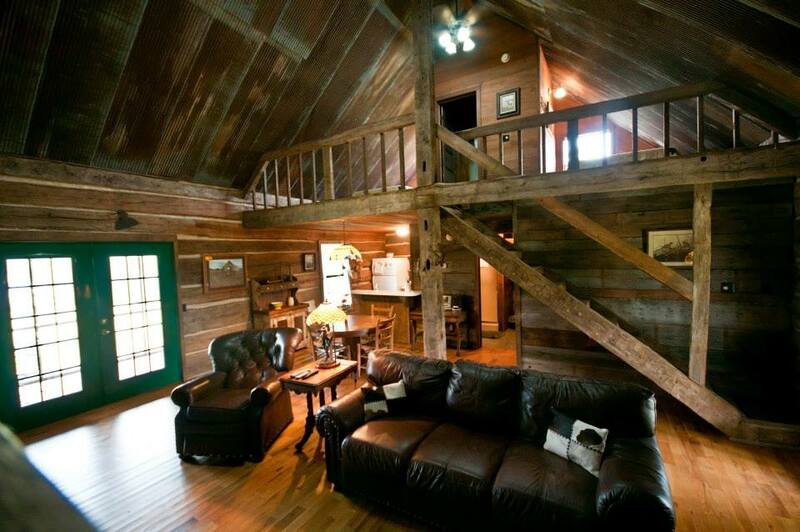 "This is probably my favorite cabin I've stayed in ever. It's such a tasteful combination of old and modern - nice and homey..."
This cabin's main room features a stone fireplace and all kinds of home-style entertainment, from the latest TV or VCR movie to old fashioned jig-saw puzzles for all generations to enjoy together. "This is our second trip to this great cabin. Our son took his first steps at the cabin. So, this place is very special. We hope to make a tradition out of coming to this cabin." "What a beautiful place. We really enjoyed being here and felt so at home. We had plenty of room for all our children." "Impressive construction and well sited. GREAT screened porch. Very comfortable." 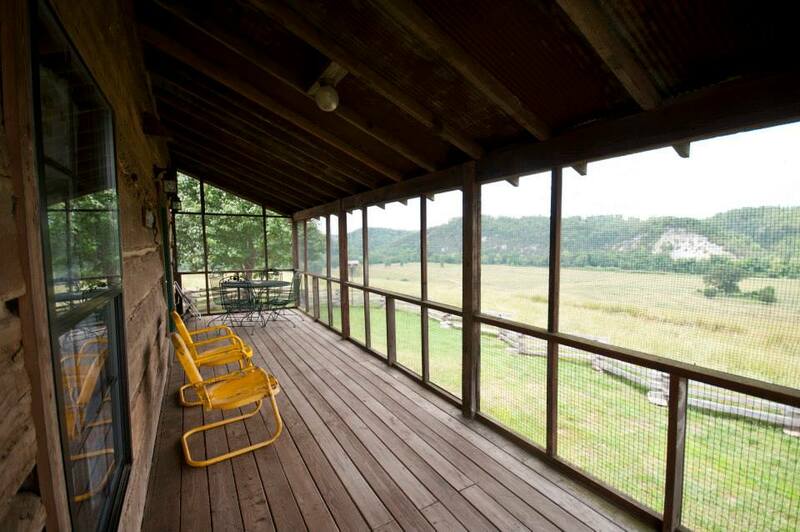 This nostalgic family log cabin takes you back to the first pioneer families that originally settled along the Buffalo River long before it became a National Park. 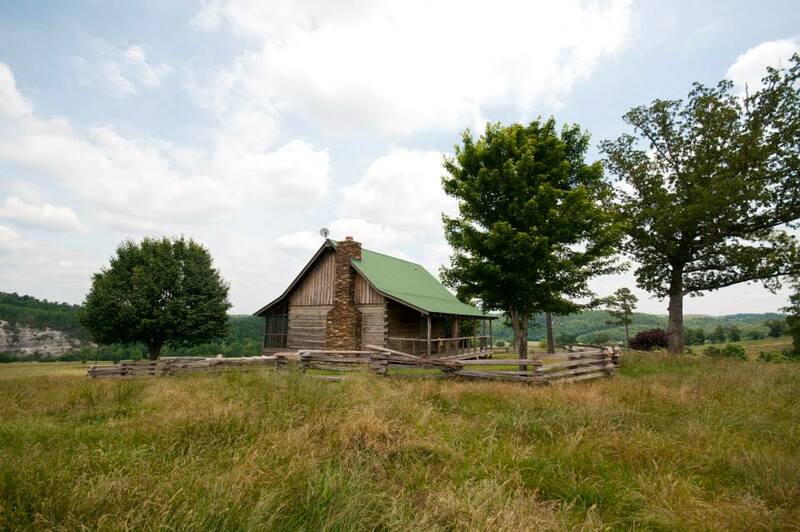 Their Ozarks heritage lives on in the painstaking craftmanship that surrounds you when you stay in this lovely, secluded log cabin resort.